Bridgeport had one or two tough days this week but overall the fishing has been getting better and better each day. The bait anglers are still doing the best with crawlers but there’s also some pinched crawler, mice tail and powerbait action. The trolling is good with needlefish, Thomas bouyants, rapalas and crawlers. 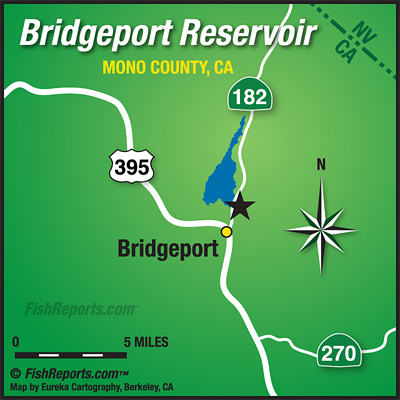 We haven’t had much news from the fly anglers lately but there should be some streamer action going on up in the channels and maybe down near where the lake narrows near the public launch ramp as well. The shore fishing hasn’t picked up yet, hopefully sometime in October that will take off. Twin Lakes (Mammoth Basin): Leech Patterns, Soft Hackles and Zug Bugs. Virginia Lakes: Fly Anglers Slow Stripping Squirmy Wormy’s and Killing It!